Using cutting edge science and technology, our laboratory compares strings of human chromosomes to determine, among other things, the biological relationships between people. The most popular relationship testing is parentage, or more specifically; paternity. In most cases, paternity testing is accompanied with complicated issues; both personal and legal. Emotions run high. Is he the father or isn’t he? Do I have a child, or not? Did she … will he… can I? This is human drama at its finest. And when the drama is high, you need a company who will provide complete professional service and undeniably accurate results. Reliant Drug Test Solutions is dedicated to providing its clients with the highest level of support possible. Our laboratory partner is recognized as a world leader in the science of DNA testing and has provided the most accurate information possible to thousands of clients throughout the years. Our paternity tests are fast, completely confidential and accurate – greater than 99.99% accurate! Our DNA paternity test results are admissible in nearly every court of law in the US. Your DNA samples are tracked from the time they’re collected by one of our trained specialists until the time they arrive in our DNA testing laboratory. That ensures they’re admissible as evidence in most all courtrooms across the US. Although our Laboratory adheres to the most stringent standards for testing, some states may differ in their requirements. Because of our stringent protocols, we provide our services to attorneys, government agencies individuals, doctors and many others. 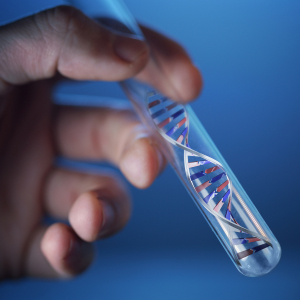 In addition to paternity testing, DNA testing can be used for a multitude of purposes. Our DNA testing will help you find the truth, regardless of your situation. This determines if two (or more) individuals share one or both parents. This test compares DNA on clothing, bed sheets, etc. to determine if another person’s DNA is present where is shouldn’t be.